studentworks 12 - ab miller dance conservatory - who is nicka smith? i come from a family of amazing and creative people. one of those people is my older sister, nicole atlas robinson. valley view high school (moreno valley, ca) cheer squad, 1996-1997. i’m on the bottom row, second from the right. that same year, she landed her first job as a teacher and started the ab miller dance program, which has since become the ab miller dance academy. hundreds of youth have come through the program and it amazes me to see how much the program has grown every time i visit. i remember when she only had one dance room. now she has two. they have two shows a year. i remember when dance was new at miller. now kids from around the district come to miller just for the program. this is not at a private high school. this is all taking place at a public high school. that’s what makes it so awesome. while programs for youth are being cut left and right, the program at miller is thriving. i know that community support has a lot to do with it, but if she didn’t have the vision she has, i know it would have failed years ago. to say that our family is proud of her is not saying enough. 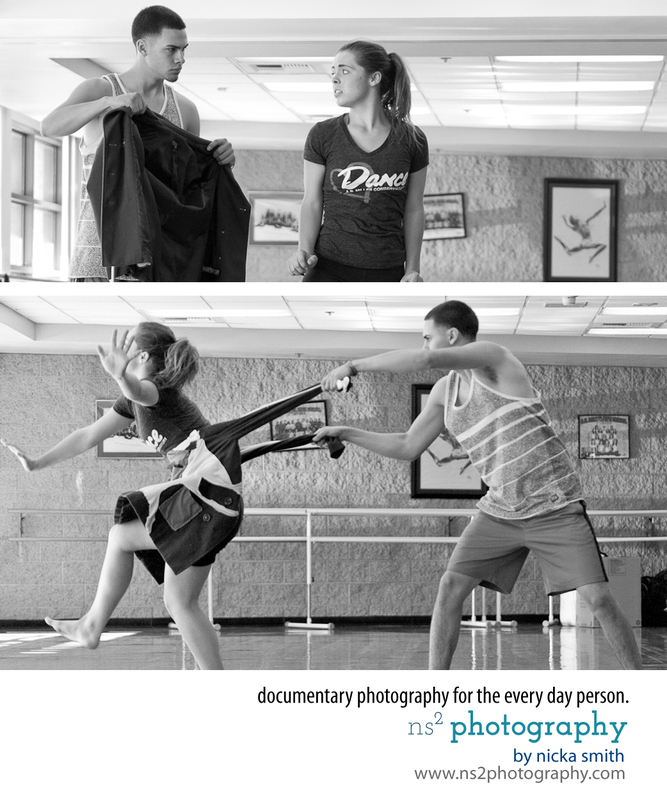 this past thanksgiving weekend, i had the chance to capture my sister’s students as they prepare for their upcoming show, studentworks 12. this fall show features choreography from graduating seniors as well as faculty members. shows are at 7pm on friday, november 30, 2012 and 7pm on saturday, december 1, 2012. proceeds from the show benefit the program. if you are in the inland empire, you should definitely check one out. also, be sure to check out miller dance on facebook, twitter, and youtube.